I used stitched rectangles for the panels then added a thin layer of cardstock to each as the papers were of similar colours. I added a little texture to the brown hidden center panel with an embossing folder and popped it up with foam tape. I used a die cut for the sentiment and fit all the pieces back into the top panel. I die cut the heart from a woodgrain pattern and offset it so that it would fit. I finished with some brown dots. 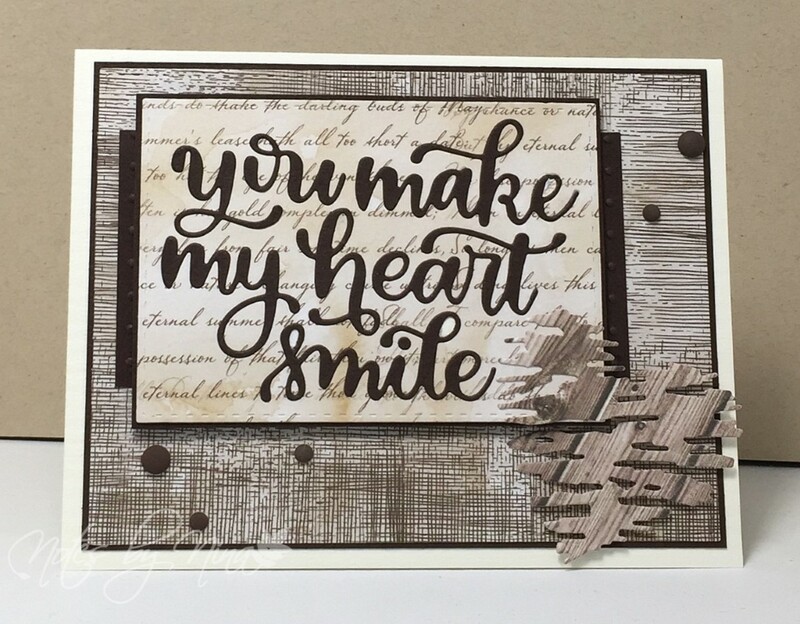 Supplies: Cream and brown cardstock, Designer Paper - Papercraft House, Simon says die cuts, dots. 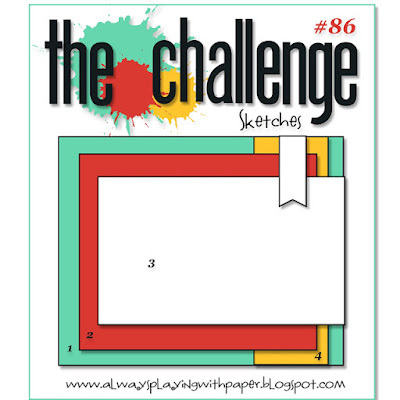 Good Morning we have a new Merry Monday Christmas Card Challenge. 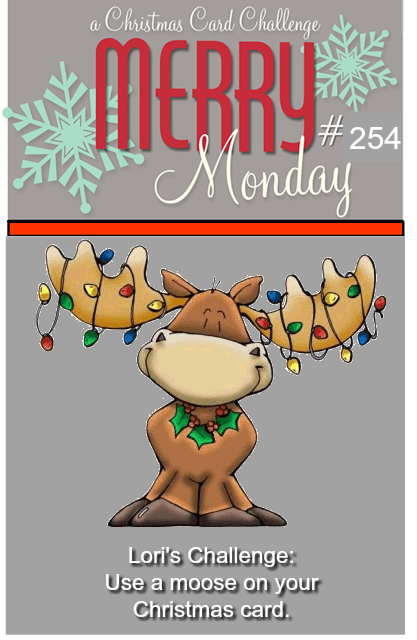 Lori is our hostess this week and her challenge is to Use a moose on your Christmas card. We will be taking a summer break after this challenge, there will be a long summer challenge with a gift card draw at the end. We will be back with bells on in September :). 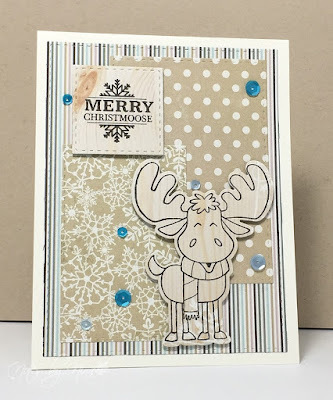 I stamped and die cut the moose then used stitched die cut for the rest of the panels. I popped up the moose and sentiment then finished with some sequins. 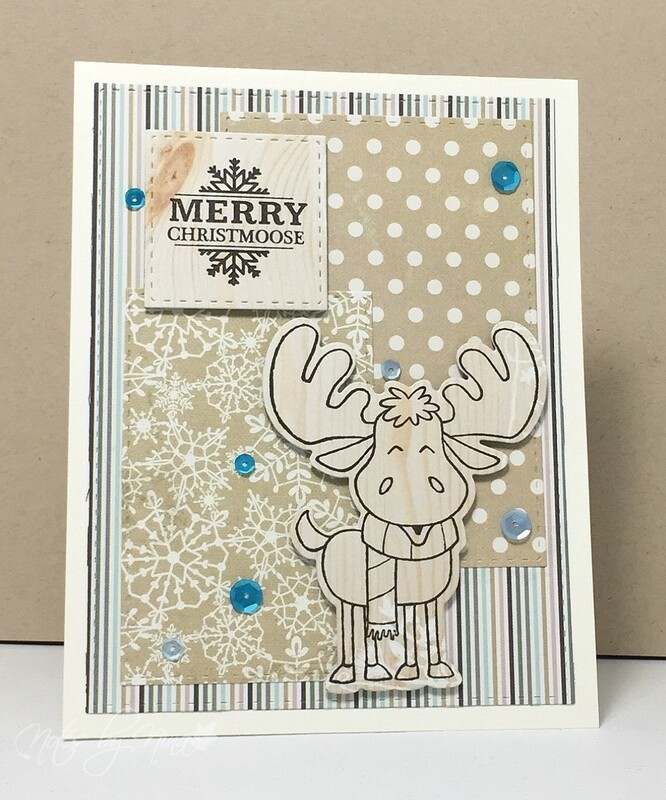 Supplies: Cream cardstock, Designer Paper - Authentique, Sugar Pea Designs - Moosing you, sequins. 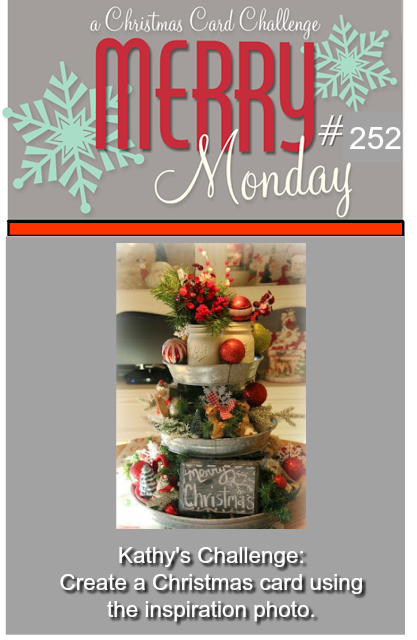 Come play along with us for the Merry Monday challenge, the design team has some beautiful inspiration on the challenge blog. Good Morning, we have a new challenge over at The Challenge. This week Lesley has us creating a card based on keywords. Our challenge will run for two weeks this time around. 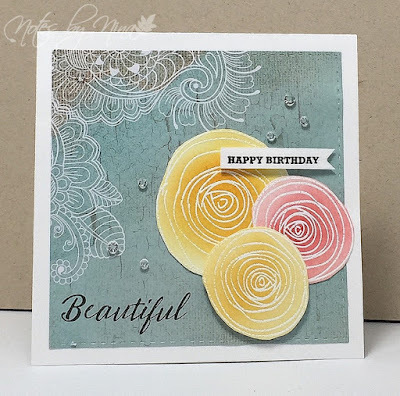 I love this beautiful flower stamp from Verve, I heat embossed it and watercoloured it before adding a second fussy layer. The panel is popped up with foam tape. I added two layers of pretty bright papers. Supplies: White cardstock, Designer Paper - Echo Park, Verve - Birthday Wishes. 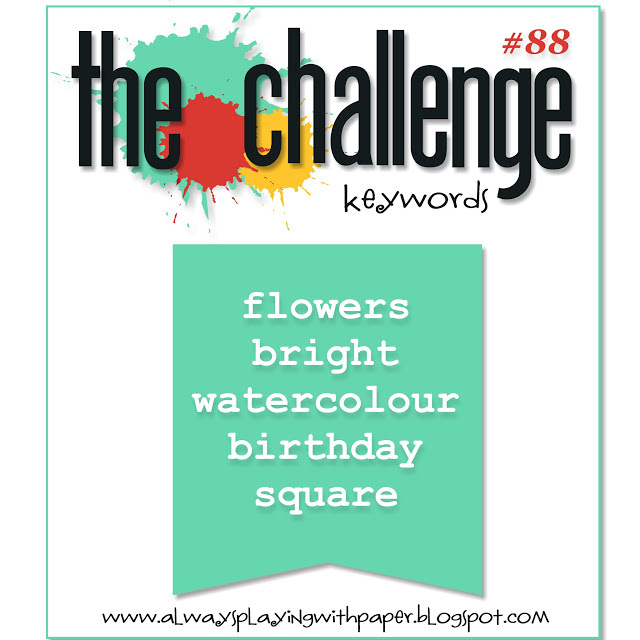 Come and play along with The Challenge, our Design Team has some beautiful inspiration. 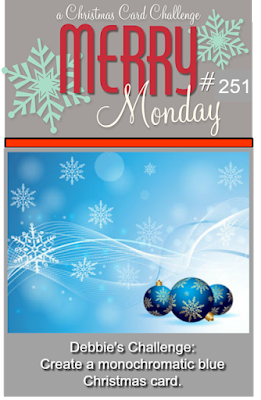 Good Morning we have a new Merry Monday Christmas Card Challenge. This week Linda is our hostess and her challenge is to Create a Christmas Card using a bear on it. 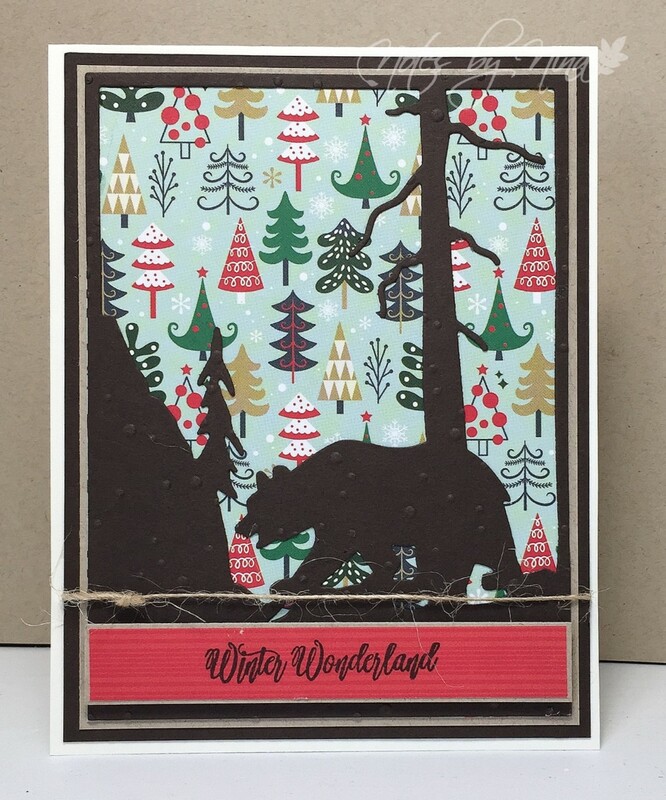 I used lots of layers for my card, then added a die cut of a bear silhouette. I stamped the sentiment on a panel of red then layer it and popped it up with foam tape. I finished with some twine. White, kraft and brown cardstock, Designer Paper Echo Park, Penny Black- Festive Snippets, Frantic Stamper inc - Bear in the woods, twine. 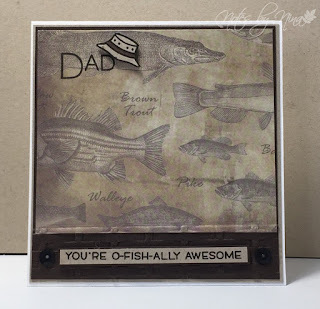 Good Evening, as Father's Day rolls to a close I realized that I had not posted this card that was made for my Father in Law. 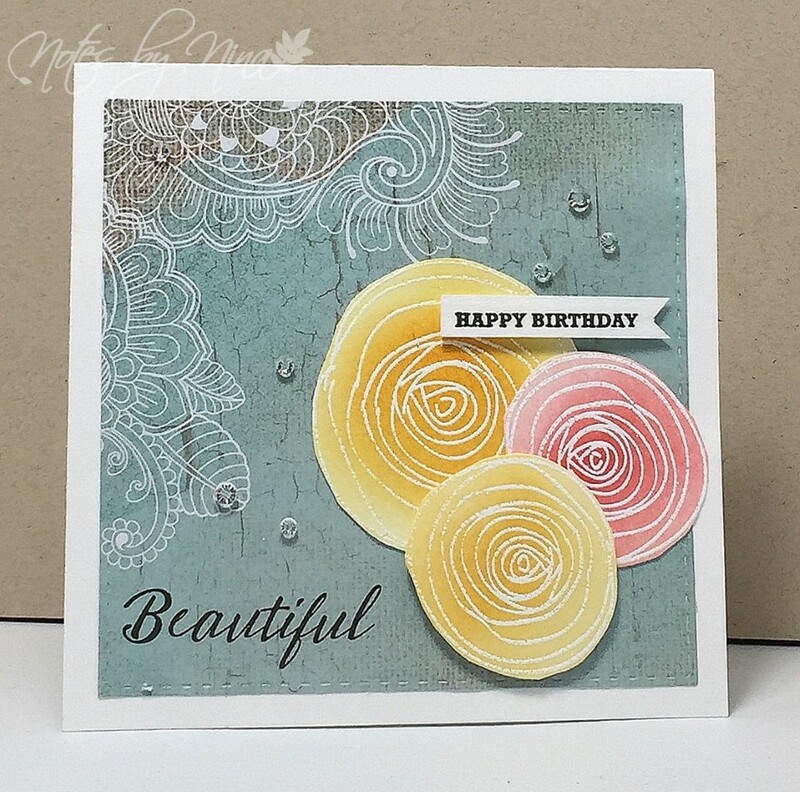 A CAS card with quick layers, I am down to the scraps with this designer paper and it has served me well over the last couple of years. I added a layer of DP then embossed a panel of brown card stock with a weave embossing folder. 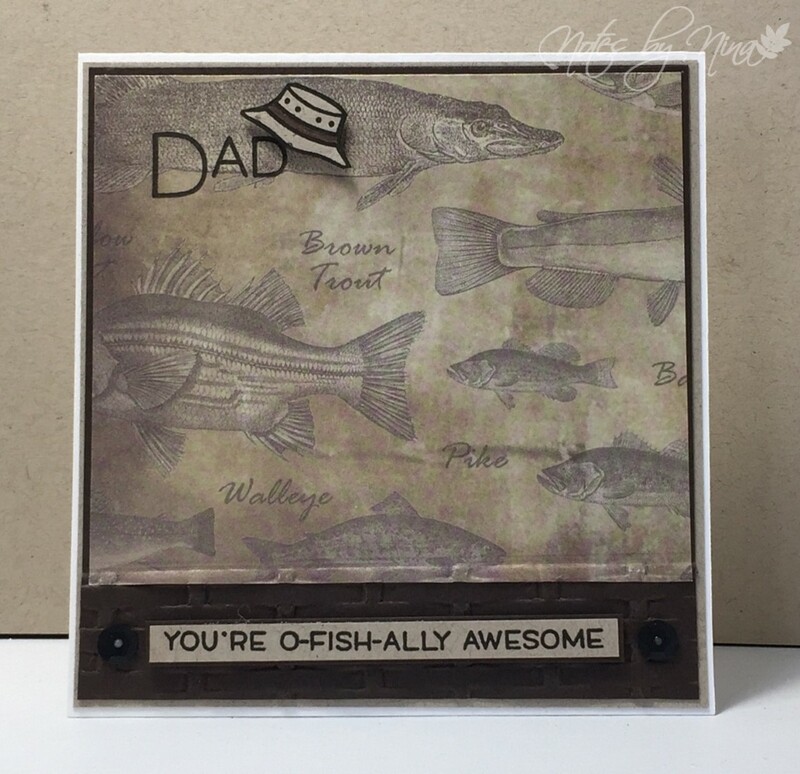 I stamped Dad right on the background then added the fishing hat which is fussy cut and popped up with foam tape. I stamped the sentiment which is also popped up with foam tape. I added a couple of sequins to finish. Supplies: White, kraft and brown cardstock, Designer Paper-Karen Foster Designer, Lawn Fawn-Dad + Me, sequins. Good Morning, we have a new challenge over at The Challenge. This week Lesley has given us a colour challenge. 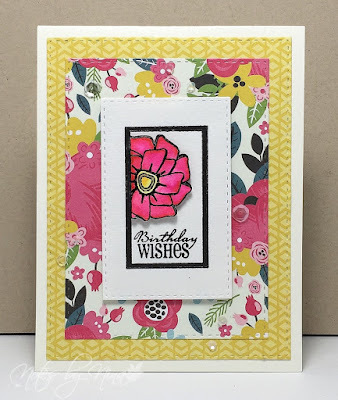 I used my stitched square die cut for the main panel, I then heat embossed flowers in white and added pink and orange distress inks. I fussy cut the flowers and popped one up with foam tape. 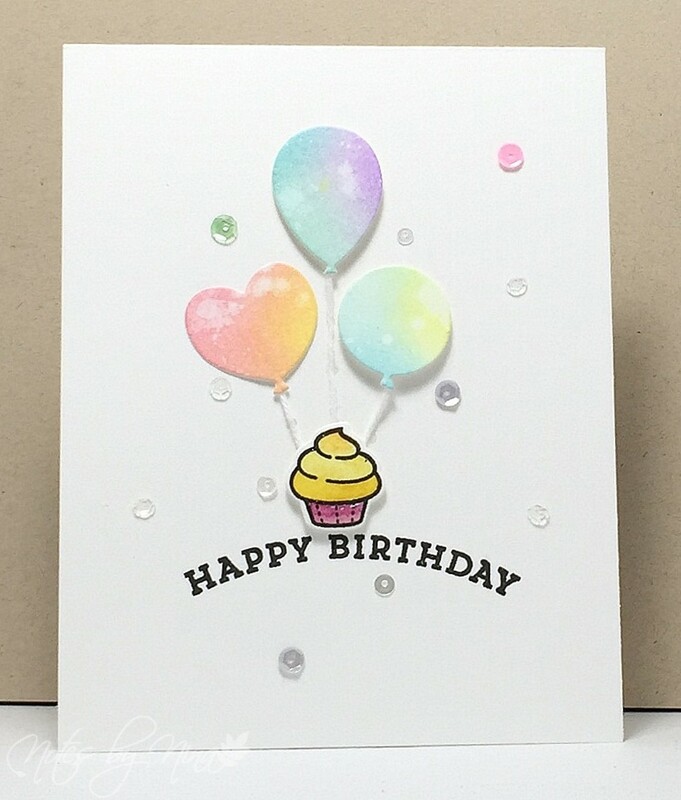 I stamped beautiful onto the background and popped up Happy Birthday. I finished with gems. 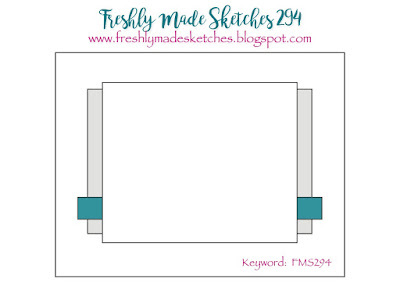 Supplies: White cardstock, Designer Papers - Kaisercraft, Simon Says Sketch Ranunculus, gems. Stop by and play along for The Challenge, our Design Team has some great inspiration. 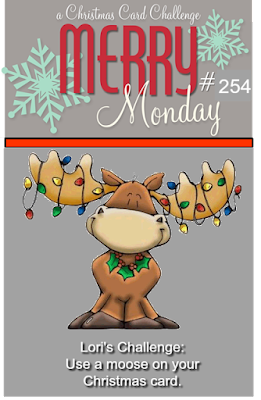 Good Morning and welcome to a new Merry Monday Christmas Card Challenge. 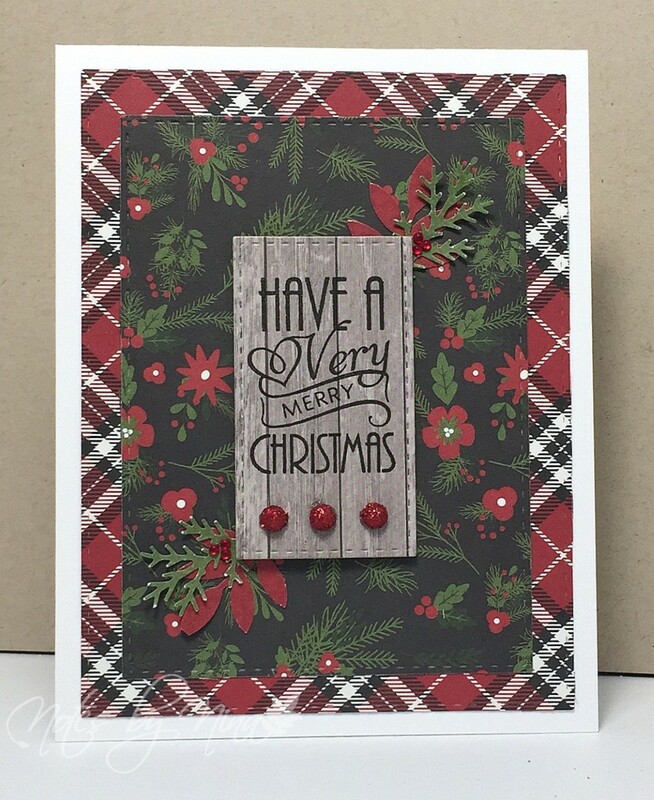 This week Kathy is our hostess and her challenge is to Create a Christmas Card using the inspiration photo. I used the colours, greenery and wood sign as my inspiration. 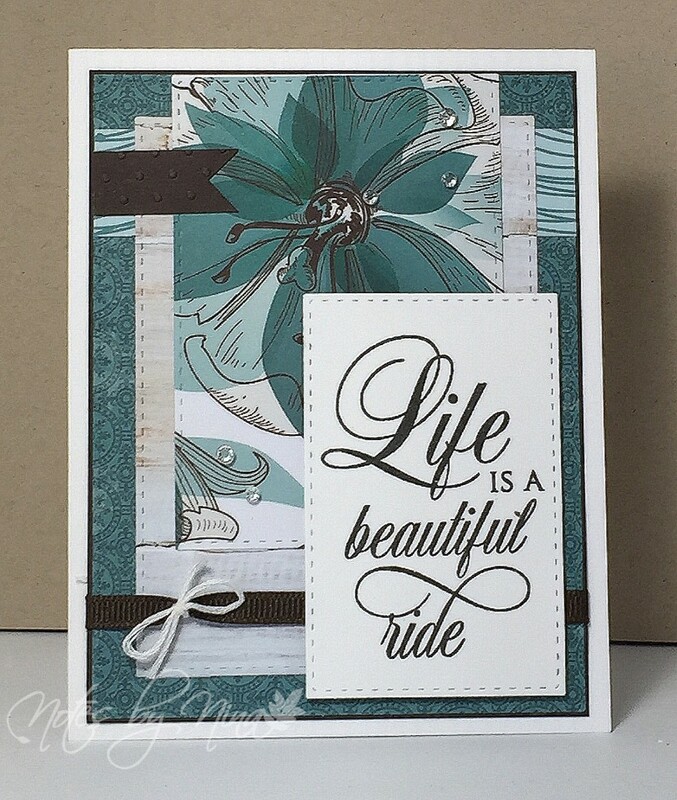 I used simple layers using stitched frame die cuts. I popped up the sentiment with foam tape and tucked greenery underneath. I added some glitter gems and small little gems as berries to finish. Supplies: White cardstock, Designer Paper- Carta Bella, Verve - Peace on Earth, punches, gems. I was playing with some new Penny Black stamps and this is how it turned out. I need to practice the one layer background technique. I started with the script stamp then added a journal page and finally the flower. I distressed the edges and added the punched edge. I stamped the sentiment and popped it up with foam tape. The edges are also distressed. I added colour with distress inks. I added some ribbon and a die cut butterfly. I finished with sequins and gems. 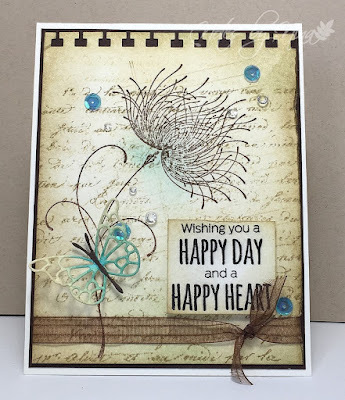 Supplies: White and brown card stock, Penny Black - Happy Thoughts, Dreamy, Lifes Journal. script, Memory Box Rhone Butterfly wings, ribbon, sequins and gems. 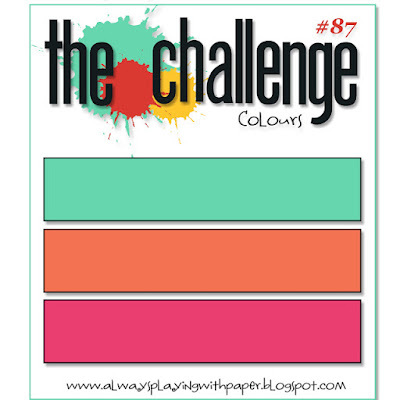 Good Morning, we have a new challenge over at The Challenge. 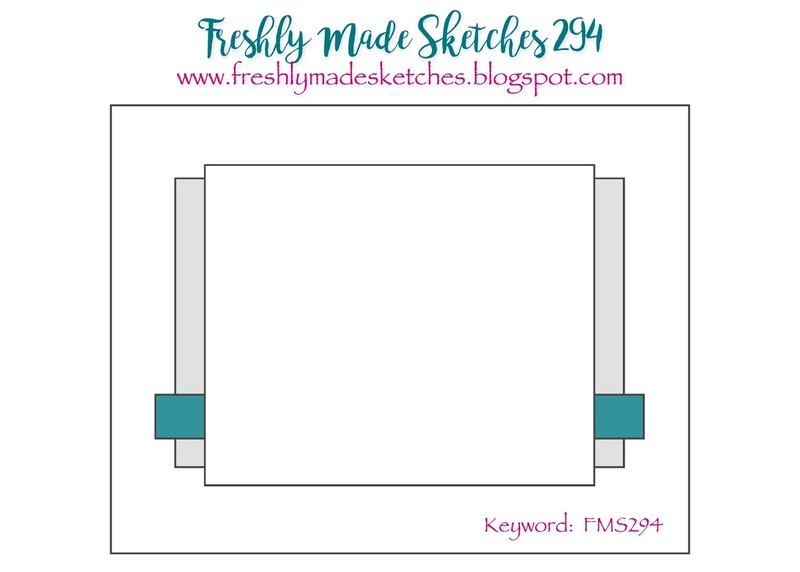 This week Lesley has create a fabulous sketch. Layers, Layers, I love layers. I used some beautiful Kaisercraft paper for my card and die cut them using stitched die cuts. I finished with some gems, ribbon and twine. 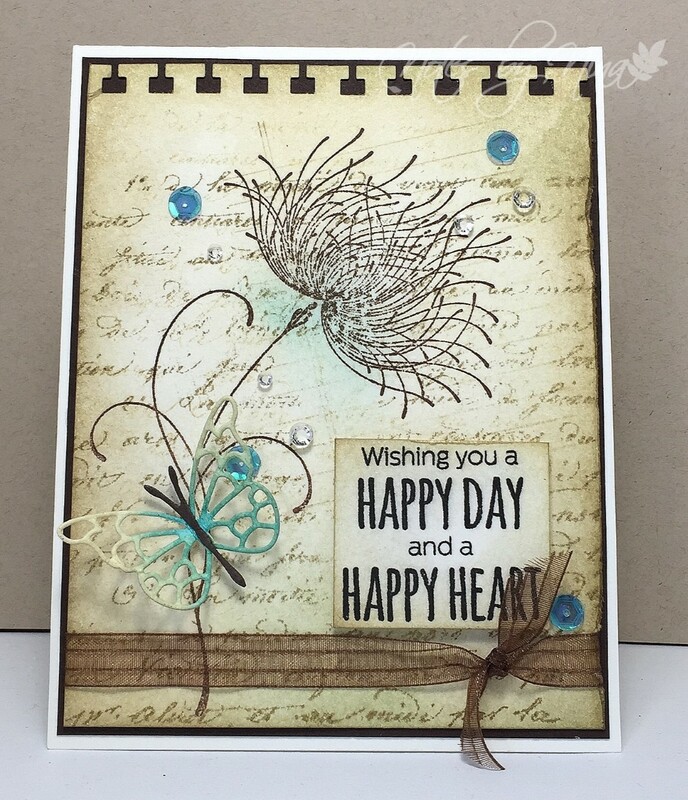 Supplies: White and brown cardstock, Designer Paper - Kaiser Kraft, Penny Black - Happy Thoughts, gems, sequins. Stop by and play along for The Challenge, our Design Team has some fantastic inspiration. 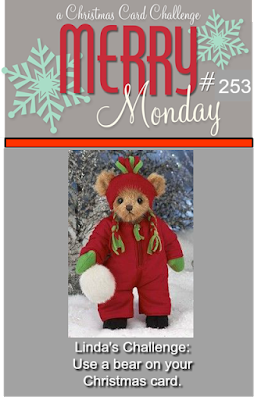 Good Morning and welcome to a new Merry Monday Christmas Card Challenge. 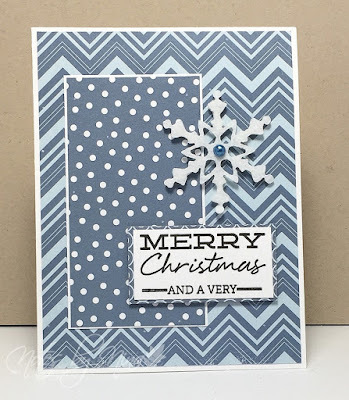 This week Debbie is our Hostess and her challenge is to Create a monochromatic blue Christmas card. I dug through my significant stack of 6 x 6 paper pads to find a pad with lots of blue and voila. Those darn paper pads are an obsession. Anyway.. I digress for a moment :). I put together a few layers an popped up the sentiment. I finished with a felt snowflake with a pearl. 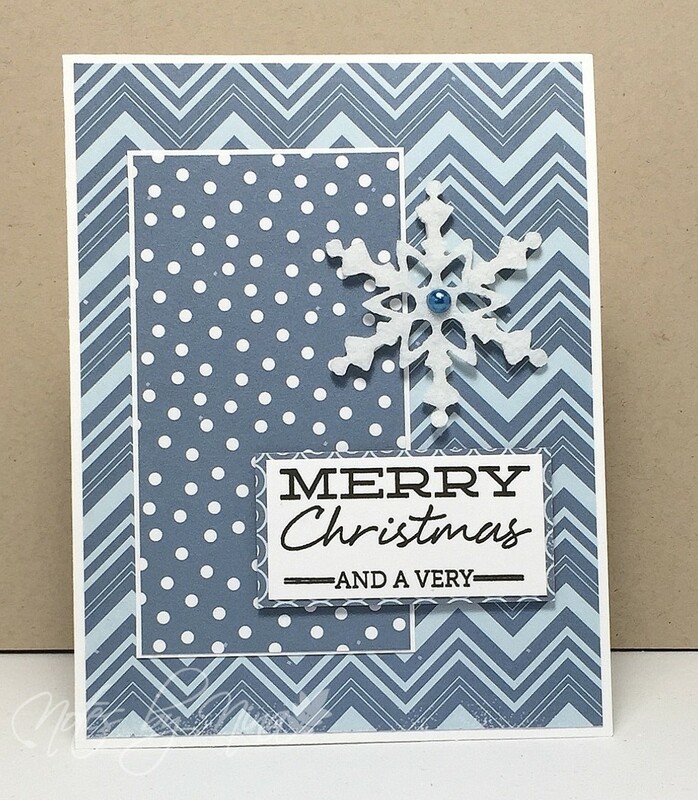 Supplies: White card stock, Designer Paper - Carta Bella, Hero Arts - Sentiment, felt snowflake, half pearl. 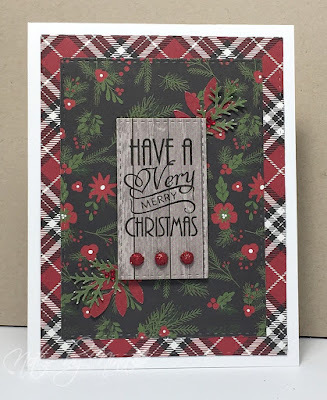 Come play along with us for the Merry Monday challenge, the design team has some fantastic inspiration on the challenge blog. The Challenge is back on a new day, most of the team is back playing along. Lesley has all the bio's up on her blog along with a introduction of a new DT member.. I won't spoil the surprise you will just need to check out The Challenge for yourself :). Cupcakes and rainbows galore :). I pulled out my Distress ink and inked up a nice sized scrap of watercolour paper so that I could die cut a nice mix of colours. I figured why not have the balloon lift up a delightful cupcake. I used lots of foam tape to make it 3D. I finished with the sentiment, sequins as well as a little Wink of Stella on the icing and some Glossy Accents on the cupcake base. 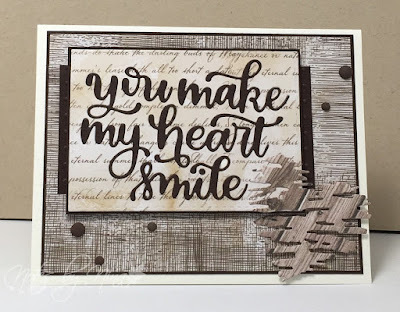 Supplies: White card stock, My Favorite Things - Die cuts and stamps, Paper Smooches - die cut, Lawn Fawn Die cuts and stamps. 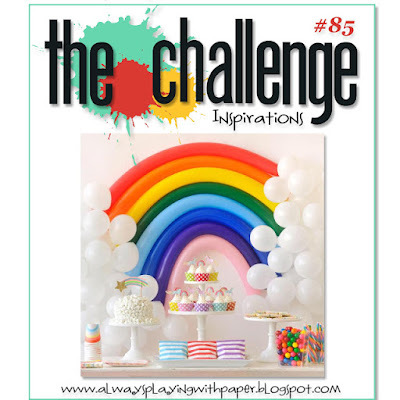 Be sure to stop by Lesley's Always Playing with Paper blog to see all the fantastic inspiration. Play along with us.